KJIPUKTUK (Halifax) – It’s a little over four months since the powerful documentary My Week on Welfare aired on the CBC. The documentary offers a no holds barred view into the lives of people caught up in Nova Scotia’s welfare system. People who struggle to survive on grossly inadequate benefits and who face prejudice all the time. For many viewers the documentary was an eye opener. Jackie Torrens, filmmaker and driving force behind the project believes its impact is still being felt. For one, people still come out to see it, says Torrens. It’s been shown at public libraries, non-profits have used it to get their message out, it’s being shown at Community Colleges and as part of university courses. Now Torrens is beginning to get requests from all over the country. There is even a move afoot to screen the documentary for provincial MLAs of all political stripes, and have a question and answer session with the people whose lives are documented, Torrens says. The documentary also had an effect on the people who appeared in it. “I knew what tremendous act of courage it was for people to agree to be in the documentary,” Torrens says. 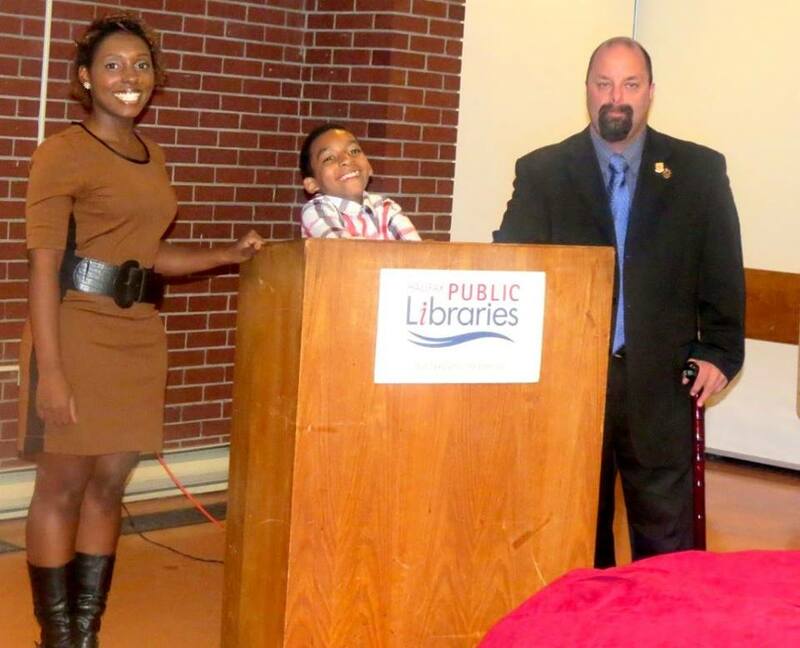 Sherreace Higgins, her son Mahkayden and Aron Spidle, who all appeared in the documentary, at a screening at the Halifax North End Library. Aron Spidle, one of the people featured in the documentary, agrees that participating in the project has changed him. “I am not as ashamed as I was. Being a middle aged male you re not supposed to need social assistance. It’s still not my favourite topic of conversation, but I am not ashamed to talk about it,” Spidle says. Just as the experience was liberating for the people featured in the documentary, it was equally so for many people on welfare who watched it, Spidle believes. “The ones I have spoken with, in particular people who are on Income Assistance were stoked. They felt that finally they were being heard a bit, “Spidle says. “Others who see that realize they don’t need to be ashamed,” Spidle concludes. One thing that took Torrens a bit by surprise were the many offers of help that poured in. “So I put my foot down and said I am more than willing to be the conduit. But I am asking that first you write a letter about welfare to elected officials, and send that same letter to the paper,” Torrens says. Click here to stream My Week on Welfare. Jackie Torrens and the people featured in the documentary will be delighted to screen and introduce My Week on Welfare at public events, university classes, and so on. Contact Jackie through the My Week on Welfare facebook page. With the soaring produce prices, families will be challenged so much more.